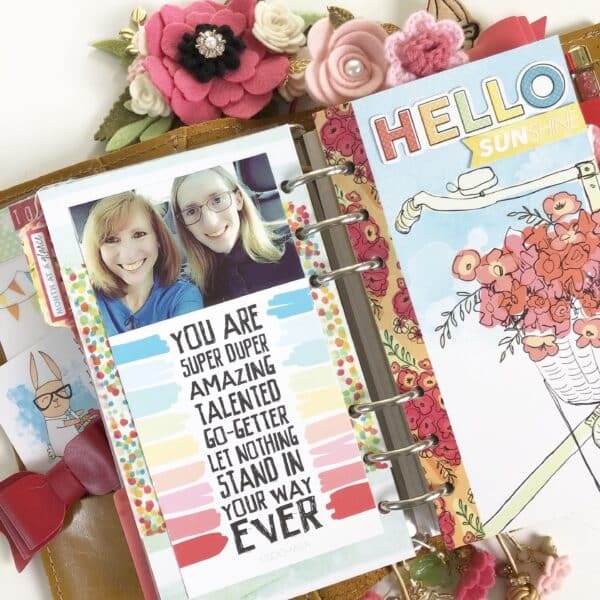 Today I am going to share with you one of my favorite add ons for my Personal Day Planner Kit. 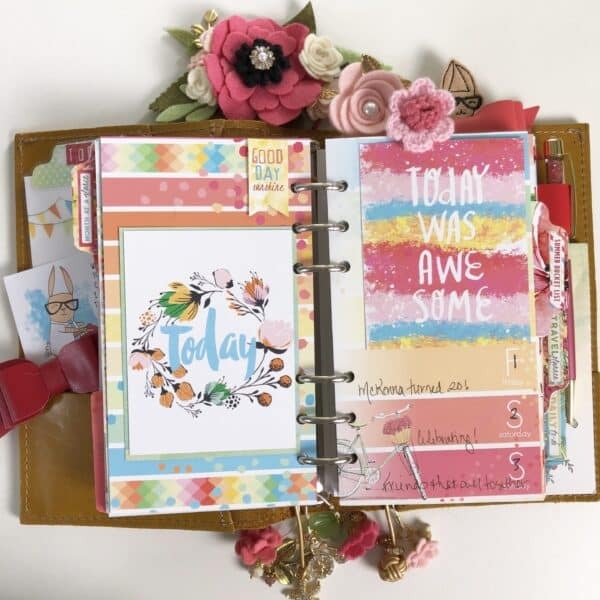 I love using the Pocket Cards to add another element in my planner. 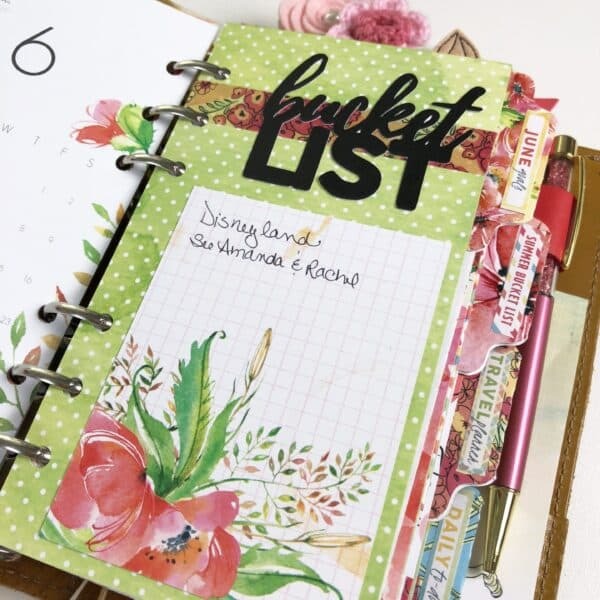 I use my planner for memory keeping but this technique works perfectly for planning, too! You can also use this with the Dory with just a few minor changes. 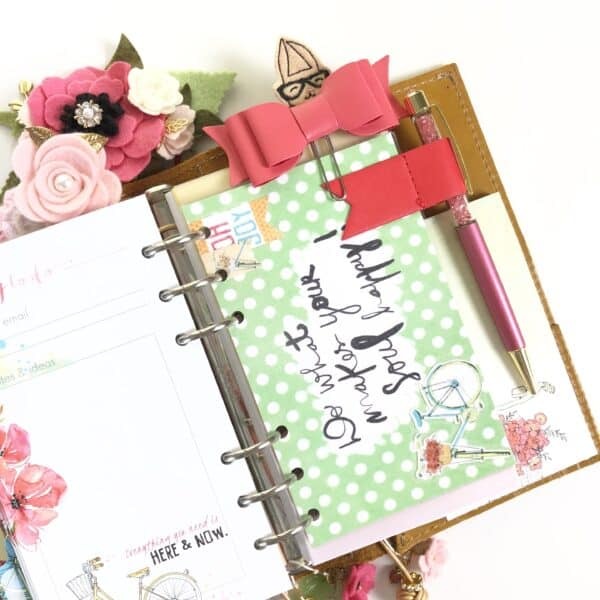 One of the easiest things I love to do is to tuck a card or two into a pocket of my planner. I usually have a couple available so that I can change the feature card anytime I want to do so. 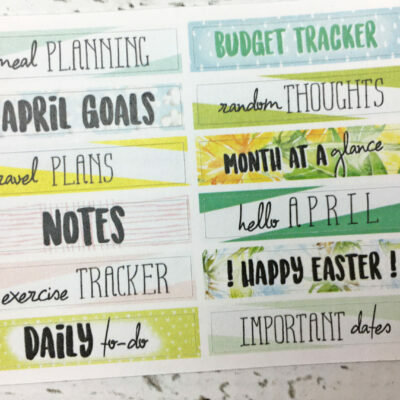 The pocket cards also make decorating your dashboards quick and easy. I used the back of a dashboard (which was white), added some washi tape down the sides, a strip of pattern paper down the middle and I used a chipboard sticker from last month’s kit in the middle of the page. Another way to use the pocket cards is to make tip ins. 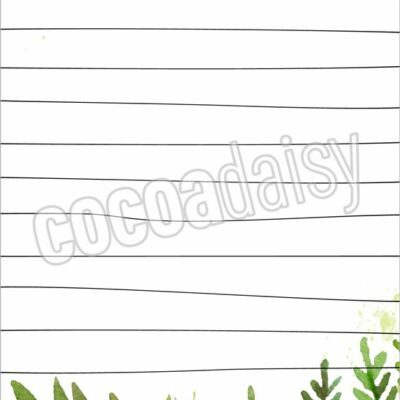 I attach them to the planner pages with washi tape. 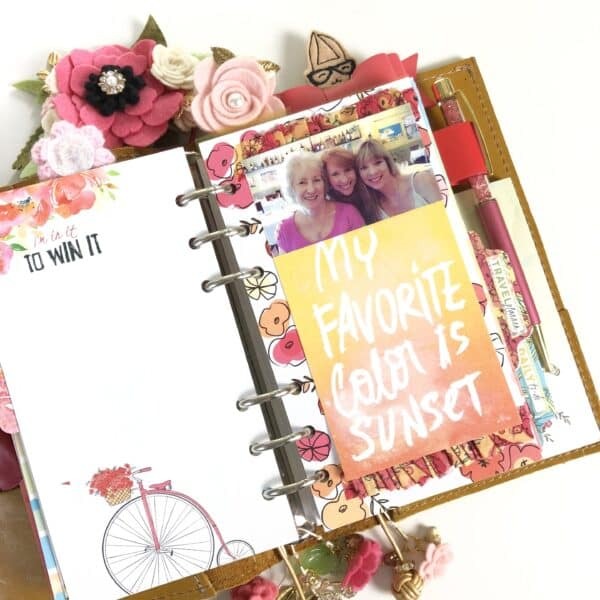 This way they open and close and you can add more journaling and/or photos. 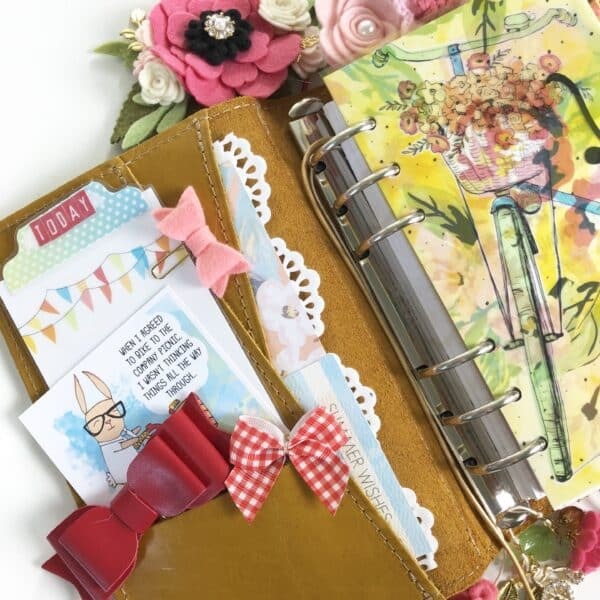 You can also use it for hidden journalling. 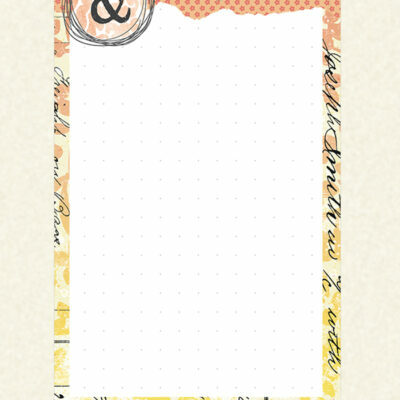 Here is a pocket card that has the washi tape attached on the top left hand side. You can open it on the right to see what is underneath. I have a video on YouTube that is linked below where you can see the tip ins in motion. Pocket cards are also great for matting photos or adding that little extra detail for a dashboard with a photograph. As you will see in my video, I love to add photos to my dashboards! Here is another example of a pocket card with a photograph. This month’s cards had so many beautiful graphics that I ended up not using them to matte the photos and instead used them to frame the photos. On the left, I simply matted a pocket card on the left to make a pretty dashboard. On the right hand side are the weekly overview pages that I use for my daily gratitude. The month of June started on a Friday and the pocket card “Today Was Awesome” was the perfect was to start my gratitude/thankful posts for the month! The pocket cards come in two sizes – 3″ x 4″ and 4″ x 6″. One of the larger cards folded perfectly in half to make a little journaling booklet that I placed inside my planner along with another smaller card. 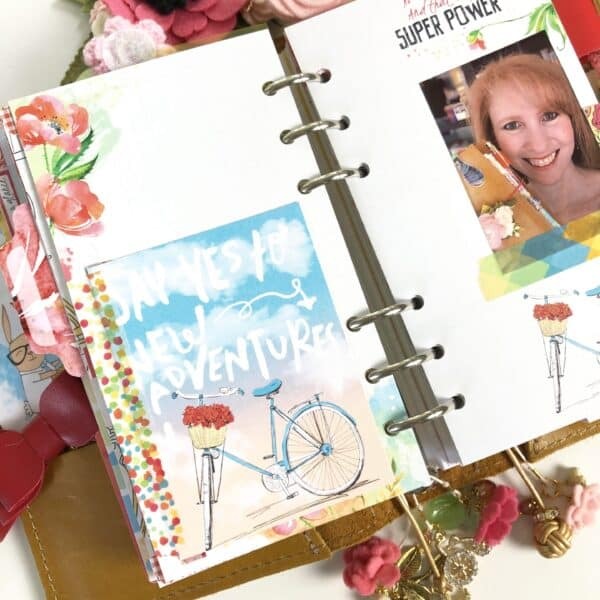 I hole punched and inserted them inside which makes the perfect little “booklet” for additional photos and journaling. 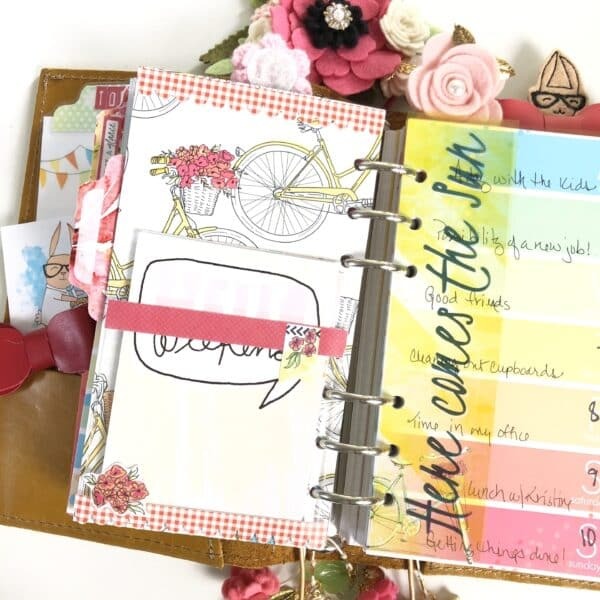 The pocket cards are also perfect for writing lists or journaling. In this case, I used one for my Bucket List. 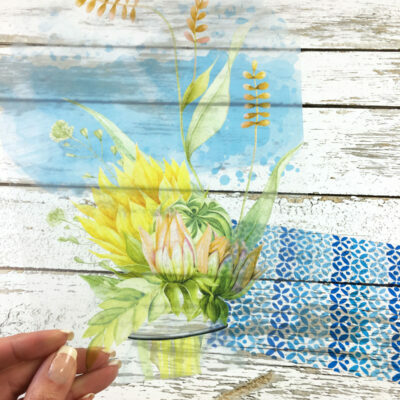 I simply adhered a title, a little washi and the pocket card on some of the patterned paper. 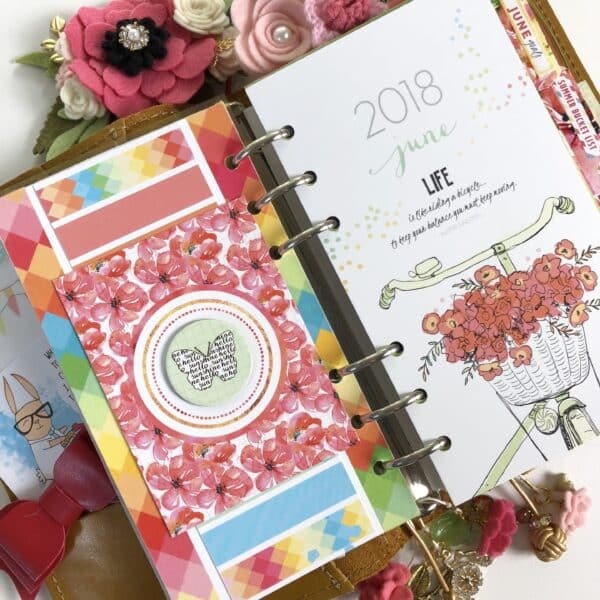 The best part about Cocoa Daisy is that they have taken out the hard work for you and everything already coordinates. Because I am only halfway through this month, I made a pocket page with an adhesive pocket from the dollar spot at Target and placed a few of the pocket cards inside so that I would have them handy as I finish up the month. Lastly, I trimmed a 4″ x 6″ pocket card to 3 1/4″ x 6″ and laminated it. This kit came with an adhesive pen holder which I attached to the laminated card. 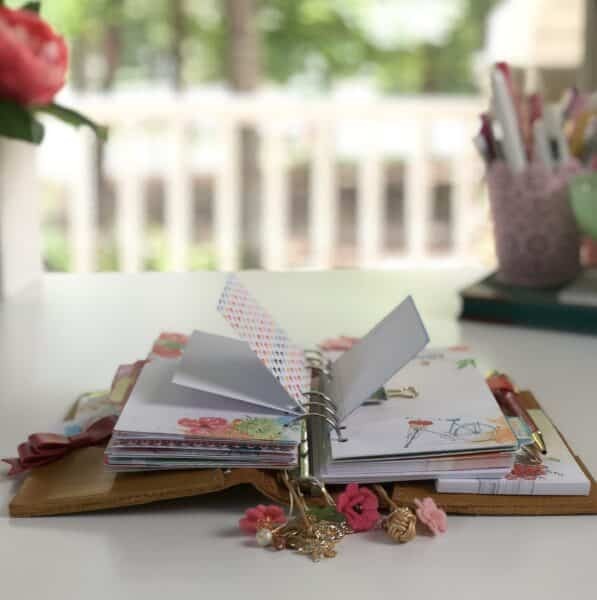 These are just a few of my favorite ways to add pocket cards to my planner! I have included a quick walk through video of my June set up which I will update at the end of the month. I hope you enjoy it! Wow, Cheryl, you have so many great ideas on how to use the pocket cards! 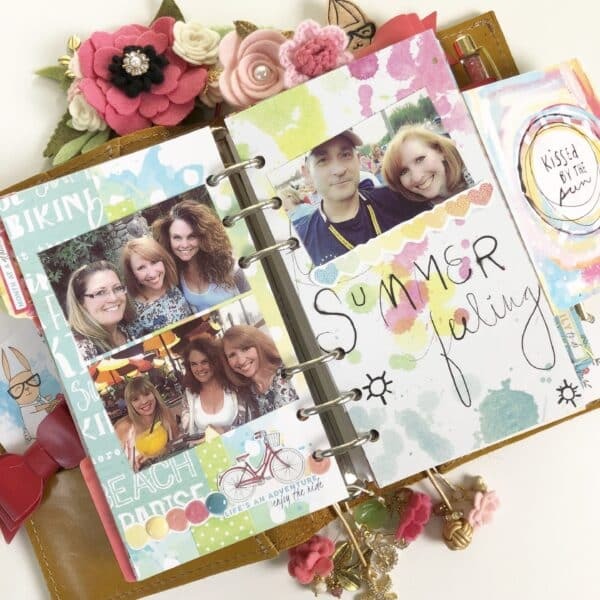 They look amazing in your memory planner!